1.) It is very common that women in the class are there just to accompany men, but not to learn their own part. 2.) The majority of students are men. 3.) The level of followers in the city has dropped significantly compare to the leader's progress. I bring these up, even though she is specifically speaking about Washington DC, because these conversations are happening in tango communities all over, even in Austin. 1. Are the followers slacking in class? As to the first point, in Austin when I have been able to attend workshops, I haven't noticed this to be true thankfully. In fact I've overheard a great deal of frustration from followers when their partners decide they'd rather work on something else during a class, and not work on what's being taught. It's also not clear if the author, by "learn their own part", means learn how to follow what's being led (by which I mean reading your partner's body, listening for the potential in the music, learn how to move your own body to make the sequence comfortable/easier etc. ), or simply memorize the pattern. To me, there's a danger in just learning the pattern. If followers in a class only memorize the pattern without actually learning how to follow it well, chances are only the ladies in class will be able to "follow" the pattern when leaders lead it at the milonga. The second point has come up several times lately - usually in the form of, "why aren't there more women in the intermediate and advanced classes?" In fact, two people in one evening asked me why I wasn't taking classes anymore and wasn't I worried about my technique slipping. First of all, I'm not taking classes "right now" - it's not that I'm not taking classes "anymore". There's a difference. There are two major reasons for me, the same two reasons I've had for awhile. The first reason is money. I simply don't have the funds for classes right now. I've blown out two pair of shoes (hence the new pair) and with Fandango de Tango Festival coming up, and I'm doubting I'll have enough to even attend the milongas, let alone the workshops. I'm missing Murat and Michelle's workshops this weekend for the same reason - and their technique and musicality teaching knocked my socks off last year. The second is my health. I have to choose whether to take classes or be able to dance socially, and you can bet when I have only enough energy for one, I'm going to choose social dancing. That's what all the classes have been for, after all. As far as my technique - I don't know if it's slipping or not. If it is, and it certainly could be, I don't know if it's lack of practice or lack of strength and stamina - or more likely a combination of the two. I practice and exercise at home, to the music, almost every single day. When I'm able, I go to practicas and take privates because they seem to be the best use of my time and money. If you're a leader who isn't satisfied with my level of technique, by all means please stop asking me to dance. So am I already losing dances because I'm not working hard enough? There was an instance quite recently with very few people in the room (5 people - 2 were dancing) and I was the only woman available to dance. The two gentlemen seated next to me gazed into their smartphones for the entire tanda. Usually the use of the cabeceo and other social structures prevent one from feeling rejection quite so acutely, but there you have it. For whatever reason, they didn't want to dance with me. Was it my technique? My "style"? My personality? I have no idea. Does it sting? Of course. But it is what it is. Truly, I would rather sit and be embarrassed then feel like someone was dancing with me who didn't really want to dance with me. Feeling someone's disappointment within the embrace is a much deeper hurt. There is another reason, however, that I don't sign up for every class I can. And this is a somewhat pervasive reason with several followers I know (by no means the majority, however). Many classes, especially pattern-based classes, are geared and tailored for leaders. Not all, but many of them. The technique discussion and explanation is geared for leaders. We often feel like we're just there for the leaders to practice on. In some of the more "rigorous" classes - back/trap/combo sacada classes, volcada/colgada/boleo combos etc., for instance, more than one follower has told me they felt like a "crash test dummy" by the end. Bruised, sore and grumpy. I know it's important for us to be exposed to what's being taught, to see what's possible, to learn optimum technique for following it, and to help leaders the best we can - but it is frequently an expensive, exhausting, and sometimes downright painful proposition. Sometimes it comes down to, do I want to learn clever gancho/boleo combinations, or do I want to be able to dance tonight? When Jorge Torres was here, I went to all but one class that I had a schedule conflict with - sitting through parts of them when I was too tired to stand up anymore. When I can afford it, and when the material is going to be technique focused, I'm happy to commit to it fully. I am, however, very discerning in which classes I choose to spend my time, energy and money. 3. Followers losing ground as a group? If any activity's skill level ought to be judged (if that's even the right word or approach) on a case-by-case basis, it's tango. Communities shift, change, experience growing pains. Stereotypes and generalizations get in the way of seeing the person standing before us as they are in this moment, in our arms. While I completely agree that leaders and followers ought to work on their progress and take classes (private or group classes is another question), I never believed in disparity of levels in a tango community ("more good leaders than followers" or the opposite). It simply does not work that way. I believe Katya's post, more than anything else, is an attempt to sell her followers technique classes to the local group of followers. I also disagree with some specific points of her post, for example, that attending milongas, dancing with better partners does not make you progress. Both of those make you improve... as well as many other things beside attending tango classes do, if your goal is to progress and develop your dancing. Totally agree that tryin to compare dancers in tango tends to be apples and oranges. Definitely agree with the crash-test dummy complaint! Sure at the beginning it's useful to go to classes to experience a wide range of things - and also at that point there's the distinct advantage that both leader and follower are bad enough that they can't do each other too much damage. Lead a wild boleo badly on a follower with excellent technique who's actually following rather than buffering in self-defence stuff and you can maul her. So yup, technique / musicality based class / workshops and private lessons quite quickly give much better dividends than classes. There are a lot of reasons guys will chose not to dance a tanda. Only about 15% of them have anything to do with the follower. (All those jokes about men trying to understand what a woman's thinking - this is where it flips round the other way!) Of those 15%, most of them are things you can do nothing about - your height, age, hair colour. Of those that remain most are thins you don't want to change - musical preferences, preferred embrace, style of clothing. Something a lot of women don't conciously realise is that because they tend to sit out more, they tend to observe the other dancers more and make more informed decisions about who they dance with. I've spent entire evenings where literally the only decision making was "Which friend is physically closest to where I am now?" and two guys saying "Have you danced with her? You should." First of all, I would like to thank you ladies for acknowledging my post, as someone refereed me to this blog. I would like to drop a couple of words since that post and my latest one stirred a lot of motion in few tango communities. I assume that you ladies have been dancing tango for some time, sounds like over a decade. This is when one can say , they observed several tango generations to draw generalizations and draw conclusions. I have to disagree with Francis who stated that the imbalance between advanced leaders and followers is impossible and it doesn't work this way. 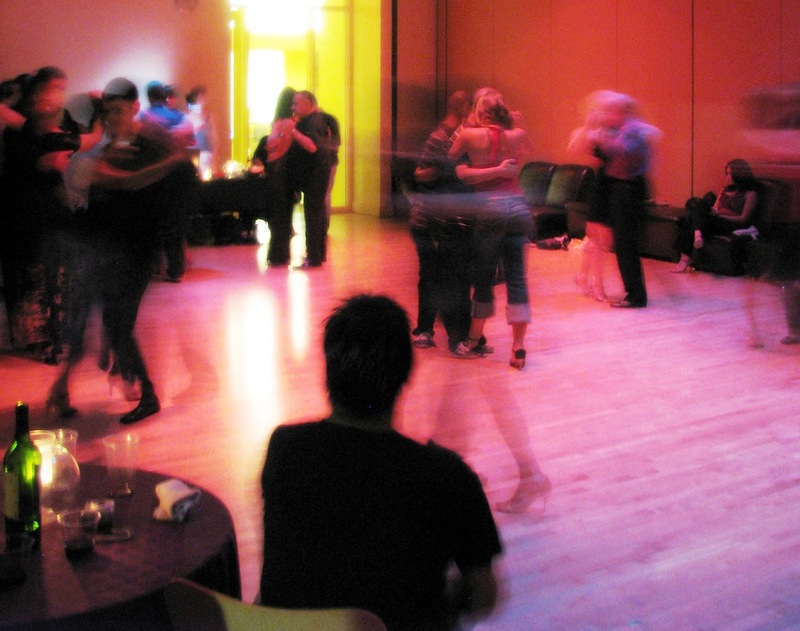 I observed several tango communities for some time, and I can state with a confidence that this is very much a case and quite often. To list some of the objective factors : demographics and the quality of teaching ( followers' vs leaders' teachers), and that is among other factors that will make a topic for a new discussion. I strongly believe that a follower should not expect to learn a follower's technique taking a class where they teach moves or patterns without paying much attention to a follower's technique. It contributes to something that is call an "Exposure" but it is not the same as "Technique". Unfortunately ,majority of classes in the US are still targeted towards leaders learning patterns. Followers are there mostly to accompany the leaders. 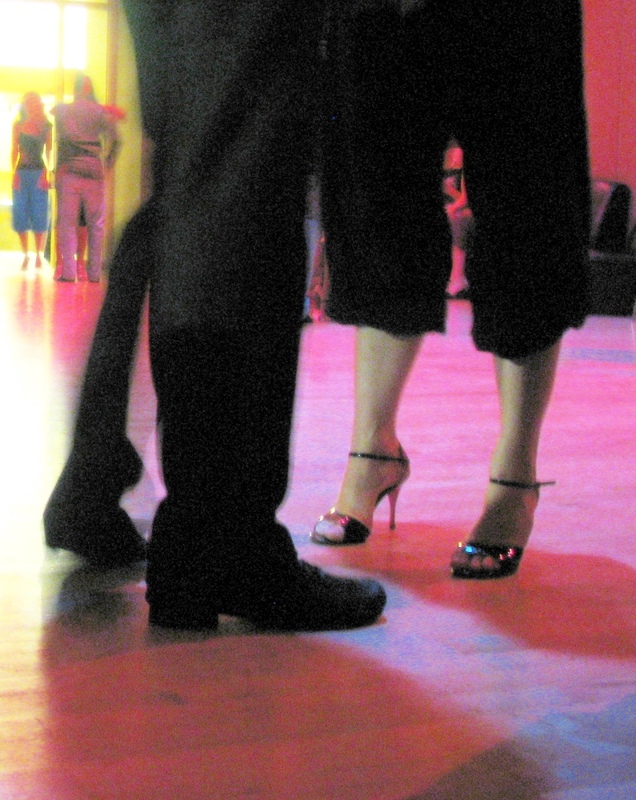 Wishing you the best in tango, before and after tango life and many happy discoveries.